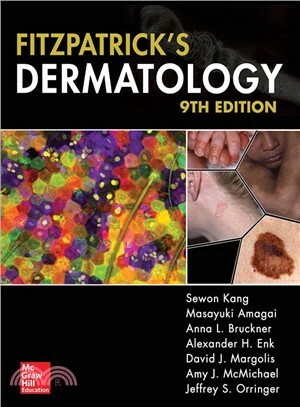 Sewon Kang, MD is Noxell Professor & Chairman, Department of Dermatology, Johns Hopkins School of Medicine. Masayuki Amagai, MD, PhD, Professor and Chairman, Department of Dermatology, Keio University School of Medicine, Tokyo, Japan. Anna Bruckner, MD Associate Professor of Dermatology and Pediatrics, University of Colorado School of Medicine, Director, Pediatric Dermatology and Pediatric Dermatology Fellowshp, Aurora, Colorado. Alexander H. Enk, MD, Professor and Chairman, President of the German Dermatological Society, Department of Dermatology, University of Heidelberg, Heidelberg, Germany. Amy McMichael, MD, Professor and Chair, Department of Dermatology, Wake Forest Baptist Medical Center, Winston-Salem, North Carolina. Jeffrey S. Orringer, MD, Professor and Chief, Division of Cosmetic Dermatology, University of Michigan, Ann Arbor, Michigan. David J. Margolis, MD, PhD, Chair, Committee on Appointments and Promotions, Professor of Dermatology, Professor of Epidemiology, Perelman School of Medicine, University of Pennsylvania. Philadelphia, Pennsylvania.